The sun shone on my bare shoulders with more intensity than usual as I climbed up the rocky path. While the rocky terrain took most of my attention, I managed to glance up periodically and marvel at the landscape that surrounded me. The trail was ever steepening as we continued to snake our way up the chapada, but I didn’t even notice the strain in my muscles. Hopping over a few more logs and carefully crossing some streams, rusty red with iron, we came to the plateau’s top. Strangely serene and unassuming– a wide plain, spotted with brush and dusty rocks. 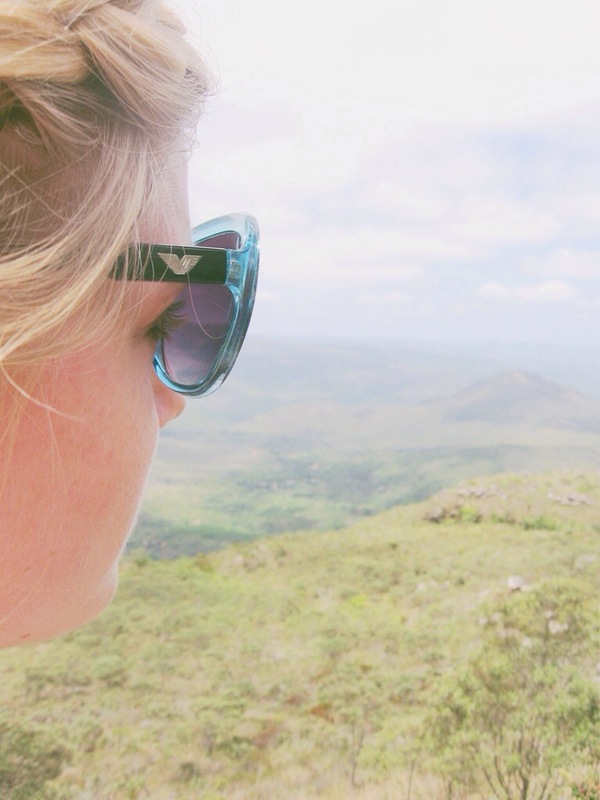 Our guide led us to the edge of the plateau for a view that caused my heart to simultaneously sink and soar. Hundreds of yards below was a lush forest that stretched out for miles, verdant cliffs rising all around, forming an Amazonian Grand Canyon of sorts. While gushing over the edge of the cliff, the waterfall a few feet to our right dissipated into mist that kissed the air before hitting the ground, so high up was the river that fed it. Yelling into the canyon didn’t even produce an echo, so massive was the single most beautiful sight I’ve ever beheld. 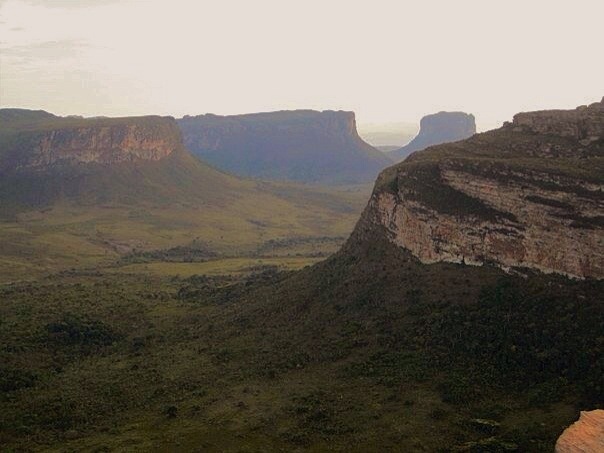 Chapada Diamantina (Chapada meaning region with steep cliffs, and diamantina, Portuguese for the diamonds mined there) was and continues to be my favorite place on earth. 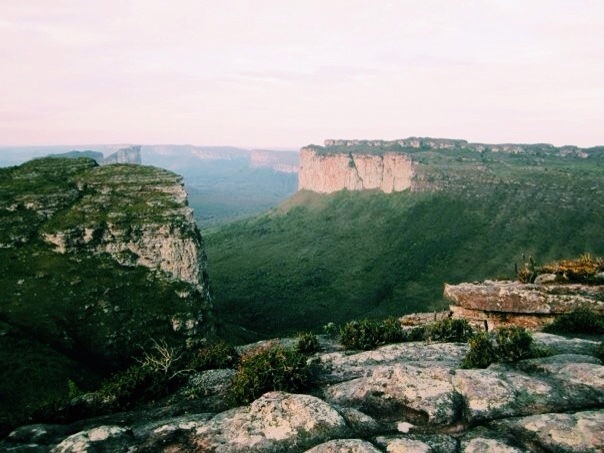 I had the privilege of living in Brazil for five months, during my student teaching. 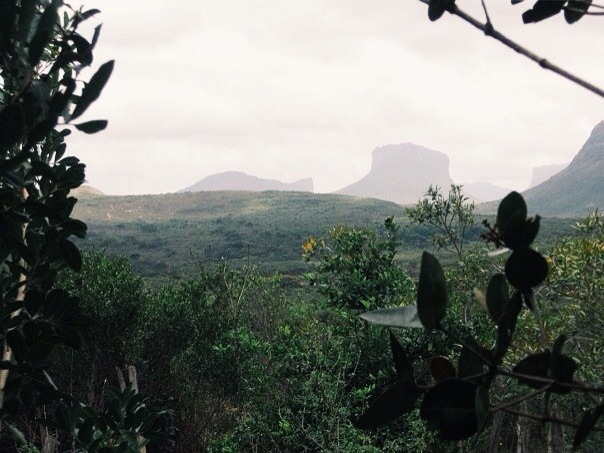 We took a week long hiking trip to the state of Bahia, in the northeast region of the country. This adventure came at the end of my student teaching. This hike was my commencement, in a certain sense, and an experience I wouldn’t have traded for anything. Those five months shaped me in ways I cannot even comprehend. I discovered new dimensions in myself as I explored this vibrant country. I was more brave, readily saying yes to any opportunity that presented itself. I was much more spontaneous and embraced my inner free spirit. I became much more observant; keenly aware and grateful for the diverse culture I was immersed in. I found myself less focused on “doing it right”, less self conscious and cautious. And I loved these changes. Standing on that precipice, I was looking into the horizon of my adult life, ready to take on the adventures that were yet to come. I recognized a wanderlust inside that I wanted to foster. There are more mountains to climb. More cultures to explore. More journeys to be had! Someday, I hope to return to Brazil. In the meantime, I want to rekindle and foster the Adventurous Allie right where I find my feet planted. Here. Now. 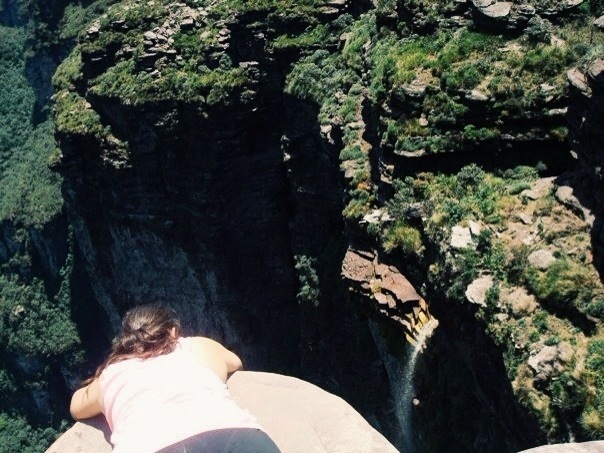 It was fun to relive my Brazilian experience as I reread my blog I had during my travels in Brazil: Take a look if you’d like!